Microsoft Research has released Dubbed Office Remote app, which turn your Windows mobile phone into remote that controls Office documents on your PC. Dubbed Office Remote is compatible with all forms of Office 2013, except for Office 2013 RT (for tablet Surface 2). 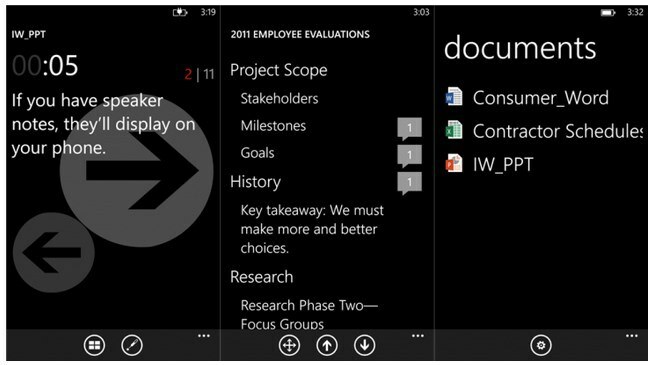 With this app you can run presentations on screen or on projector from your Windows phone and you can freely walk around the office while running the presentation.